Update 2017: Ku was purchased by Manoah. A complete tear down, the new Manoah now stands in Ku's place. 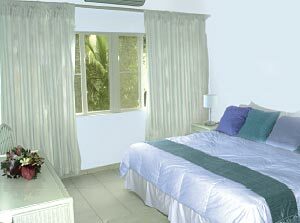 More on The Manoah Boutique Hotel here. 2013 Update: Ku Hotel is CLOSED. Prior to its closing, there had been several negative reviews. Repeat visitors indicated a general deterioration. "Disappointment" seemed to be the more common sentiment. Since, Ku has been sold. It will be torn down and re-built into a 34 room, high-end hotel called The Manoah Hotel. 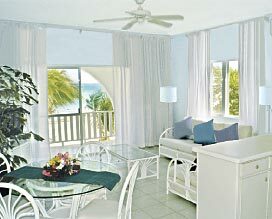 Until The Manoah Hotel opens, you may want to consider Carimar Beach Club for your next vacation. 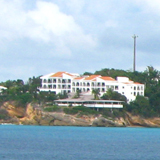 It is a high-value hotel right on Meads Bay. 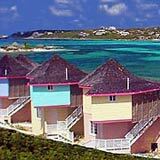 If East Shoal Bay is your "must" destination, consider Shoal Bay Villas. The Cap Juluca team has created "Kú"... a "sacred place" in Arawak Indian language. How? 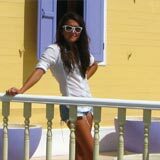 Their hotel management group recently brought our favorite low-cost hotel, the Shoal Bay Beach Hotel, under its wing, and converted it into the Anguilla Ku hotel. We loved the old Shoal Bay Beach Hotel. 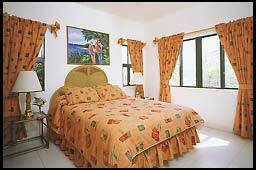 Comfortable, spacious rooms. Open views and sound of the beach. Walking distance from Ernie's! Low rates, quality rooms and right in the heart of the best beach. And now, the renovations have converted the Shoal Bay Beach Hotel from "perfect" to Kú. No buildings were demolished. The structure and positioning of all hotel units are the same. Wide open feel and marvelous views. Step outside and you're on Shoal Bay East. Mmmmmm. And, I'm not sure how they did it, but the rates remain reasonable. 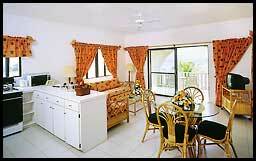 We get "Anguilla Ku Resort" at "hotel" prices. In the "Winter Season" (December 17th - March 31st), Anguilla Ku charges $395 for the "Beachfront Suite", $345 for the "Ocean/Pool view Suite", and $295 for the "Ocean/Garden view Suite". Between April 1st and December 14th, the rates are insanely cheap. If you did not know this hotel and its management, you would wonder "what's wrong with this picture." It costs only $200 for the "Beachfront Suite", $175 for the "Ocean/Pool view Suite", or $160 for the "Ocean/Garden view Suite". Anguilla hotel Ku has combined the "minimalist cool of Miami's South Beach" and laid-back, slowed down pace of the Caribbean. Together, it creates Kú - a "sacred place" in Arawak Indian language. Let's hope that a quality renovation restores Ku to its former glory and that The Manoah Hotel is a success. Its sensational location deserves no less.